A conversion chart is provided below to show sizes of our A Board Pavement signs. Note the dimensions of a frame refer to the size picture/poster that can be framed. The framing is extra to that size. Pavement signs offer a highly cost effective and flexible way to advertise to passing trade. 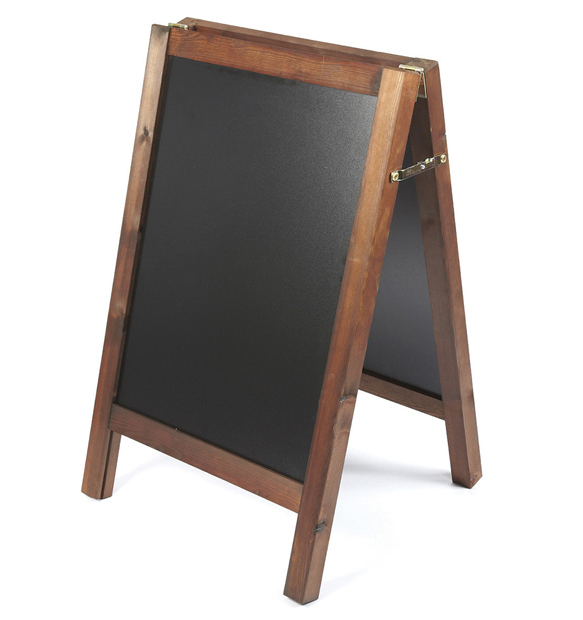 Suitable for busy high streets and retail locations such as public houses, shops, and restaurants. 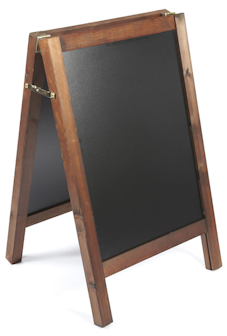 This traditional blackboard pavement sign, looks great, and is particularly useful when signage changes often, such as restaurant and pub specials. Chalk advertising also provides a very striking look, and can add greatly to the ambience of a retail environment. Choice of Beech or Mahogany (shown).